Last week Lenovo started selling K4 Note in Indian market. The device comes with 5.5 inch IPS LCD capacitive touchscreen, Octa-core 1.3 GHz Cortex-A53 CPU, 3GB of RAM, 3300 mAh battery and 13 mega pixel primary camera. The phone is available exclusively on Amazon. There is a sale of the Lenovo K4 note today also. 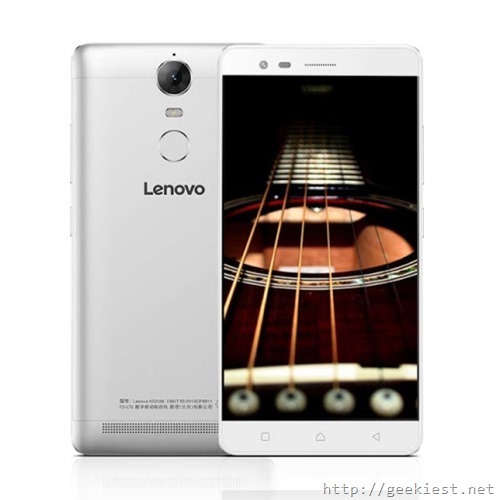 Mean while in China Lenovo announced the next phone in this series, K5 Note. K5 note will be coming with a 5.5 inch LTPS IPS LCD capacitive touchscreen, Helio P10 Octa-core 1.8 GHz Cortex-A53 processor, Mali-T860MP2 GPU, 2GB of RAM, 13 MP rear camera with dual LED flash, 3500 mAh battery and 16GB of internal storage with Micro SD card support to increase storage space if needed. The new K5 note will not have much changes when compared with the K4 note. One of the main difference is the Processor and Battery (3300mAh to 3500mAh). Considering the RAM the new version is a downgrade from the previous version which had 3 GB of RAM while the new one have 2GB. Just wondering what will be the impact of this announcement on the sales of the Lenovo K4 note in India as the price of these Phones seems to be pretty same.